6 FREE PASSES INCLUDED Amenity Rich Bethany Beach Vacation Home at Millville by the Sea! 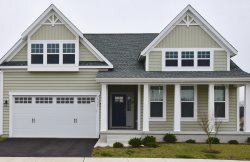 Picture yourself in this new 4BR pristine Coastal home in the amenity-rich community of Millville by the Sea. This spacious brand new house, affectionaly names SEASIDE ESCAPE, boasts 4 bedrooms, 3 full baths, and sleeps 12. Rustic hardwood flooring in the main living areas and granite counter tops and stainless steel appliances. Check-in is a breeze with your personalized keyless entry code. NOTE: This is a brand new house on a new street and as of January 2019, there is likely to be some construction in the area nearby. This is a brand new house and as of January, there is likely to be some construction in the area nearby.